Barter Books : Baily, J T Herbert [ed.] 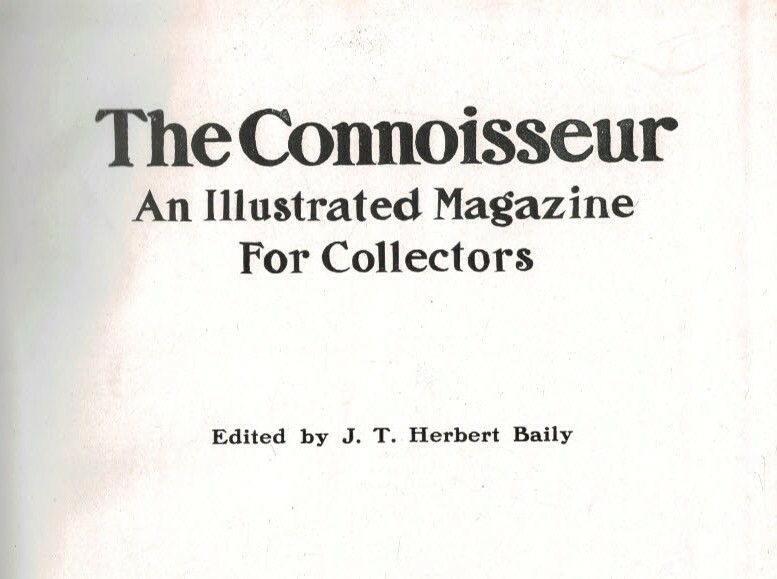 : The Connoisseur: An Illustrated Magazine for Collectors. Volume 13. Sep-Dec 1905. 280 x 210 mm (11 x 8 inches) - 264pp. G+ : in Good condition plus without dust jacket. Cover scuffed. Heraldic book-plate on paste-down.